One of the first departments to get the ax after Hearst announced last June the completion of the HFM media sale that included Cycle World among others was that brand’s social media department. That was followed last month by a rumor on the alt-lifestyle site Hell For Leather (subscription required) that the title was already up for sale, again, possibly to the first bidder willing to step forth and make an offer. Any offer. Today’s Wall Street Journal announcement has Hearst looking very closely at the digital components of their extensive media empire, which now includes 15 dailies, 38 weeklies, nearly 200 magazine titles, and an eclectic collection of local t.v. and cable outlets ranging from A&E to ESPN. WSJ points out the obvious: Hearst is caught in the same dilemma as very other purveyor of traditional media; namely, a no longer debatable downward spiral of sub and ad based revenue that, like Rosebud, is lost forever. And it is to that end that corporate strategy now seems heavily focused on building out Hearst’s Interactive Media group and with it a pronounced shift in emphasis from old to new media and with it all the promise offered by the tech sector. Too soon to tell if any of this will spill over to the Newport Beach offices of America’s most popular two-wheel journal. But if it does, that can only be good. 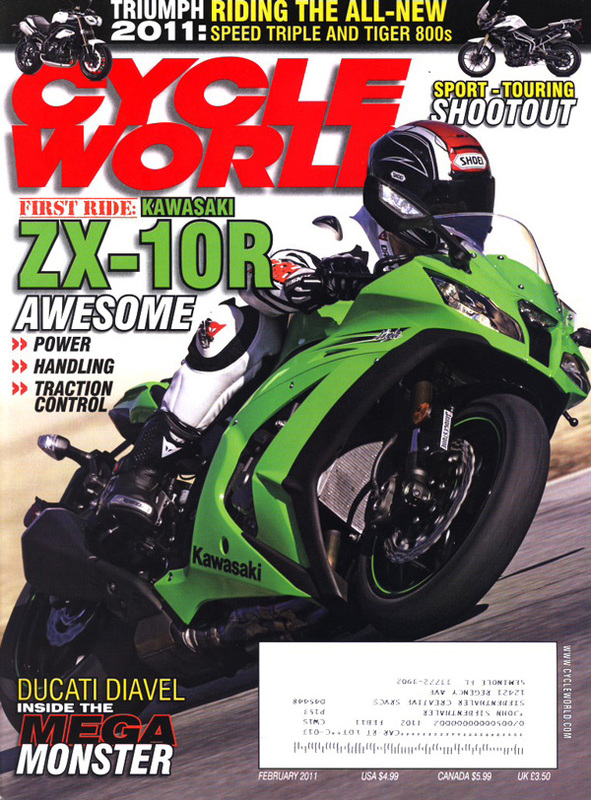 This entry was posted in powersports, web and tech and tagged advertising, content, cycle world, digital, hearst, media, publishing on July 11, 2011 by John Siebenthaler.